and have ideal clients falling in love with you. All the while keeping away from DIY angst and saving yourself thousands of dollars. Even if you’re scared of the blinking cursor of death, your Year 10 Lit teacher told you not to consider ever writing again, or you currently have website shame. You already know amazing, converting copywriting will blast your business growth into the stratosphere. The truth is – you already have all the words inside your head that can make magic happen. And you’re ready to write with confidence. Be brave. And publish with full expectation to make bank. You just need the Crisp Copy Class. 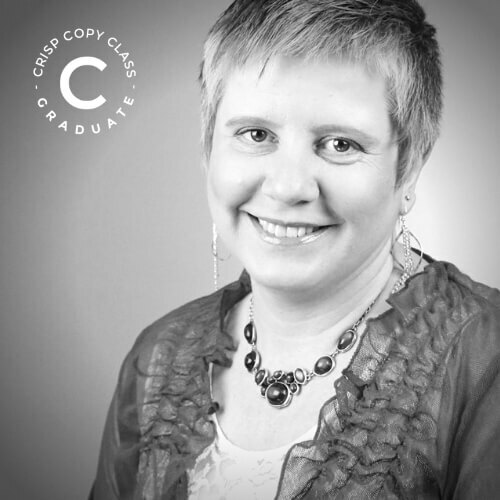 Round 1 and 2 of the Crisp Copy Class SOLD OUT! Save yourself a seat for June 2019 - it's free to be on the waitlist. 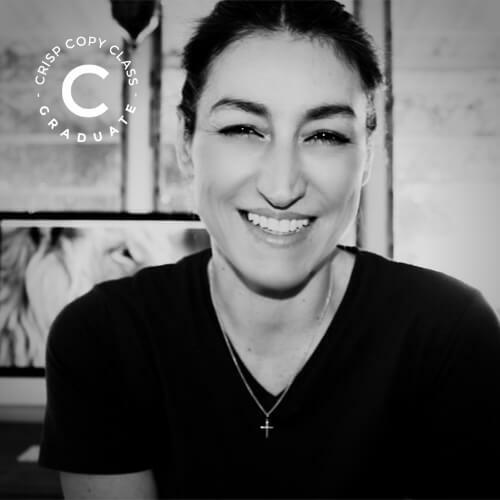 The Crisp Copy Class is a community of women in business wanting to write better to sell all their things. With evergreen access to ever-growing recorded content, a page-by-page romp through your website and email copy, more copywriting tutorials and downloads than you can poke a stick at, and the option of live Masterclasses and Q&As and vibrant Facebook communities where Jay is on call to answer your copy woes. Because if I had a dollar every time someone asked to pick my brain I’d be in the Maldives right now, sipping something boozy and chatting to y’all on Instagram. Now, you can rock up and pick my copy brain any ol’ time you like. Want to watch me strip back your copy and rebuild it? Bring tissues. Live copy hacking will be available for all Crisp Copy Class members and you won’t even have to pay my $285 per hour rate. Sweet. When you’re not learning from my ragingly amazing panel of experts, you’ll be sitting down to participate in collaborative classes with me. Done over Zoom, they’ll be recorded for folks who can’t come live and you’ll have loads of opportunities to ask questions. Every month I’ll show up with the cleverest clever clogs I can wrangle onto Zoom. These are experts in their field; from content marketing to website design, from SEO to social media. All sessions recorded for catch-up viewing. At the end of this training you’ll be a confident copywriter. Copywriting not your long-term #lifegoal? No worries – what you’ll learn about messaging, copywriting, content creation, and brand voice will mean you never have to worry your copy is dreadful again. From emails to socials, you’re good to write. You’ll meet women from all over the place who, just like you, are looking to stand out in their industry, nail their messaging, be front of mind in their field, and build a beautiful business presence. That’s gold. Plus, there’s just over 40 in each group, so lots of 1:1. If I can go to your website and read exactly the same fluff as on your competitors’, why would I invest in you? If I get your emails and my eyes glaze over and a little bit of drool starts to threaten my keyboard, why would I keep wanting to read your stuff? If I have to watch one more video of your cat on your Facebook account because you can’t bloody think of what to write… oh… hang on. I quite like the cat videos. You can keep them. But let’s save you from the blinking cursor of death and not bore your audience to death at the same time. OK? WHY UP YOUR COPY CHOPS? Paying attention to your copy can do some incredible things for your business growth. I know how gutsy you have to be to play ball with the big girls in the online world. There’s so much noise. And you want everyone to like you. Playing safe (and writing stuff that’s middle of the road) makes no one feel special. You don’t help your readers self-weed, and you don’t make your ideal client feel like they’ve finally found you. I know you’re really good at your ‘thing’ and you wish you didn’t have to know how to be an entire marketing agency just to get it out there. I get it. You’d just like to be paid while you work in your genius. Fantastic copy will help that happen. Plus, joining will literally cost you about the price of 2 choc-chip muffins per week. Only much better for your health. Learn my no-brainer template for short and long form Sales pages and write your own. "I am a die-hard DIYer, riding the cutting edge of the NewLaw wave, so outsourcing my copy was never in my game plan. Besides, I enjoy writing so much - why should I let someone else have all the fun? The problem was, my website copy did not feel cohesive. It lacked structure, having been written piecemeal in spurts of unguided inspiration, and it was not as delightfully dazzling as I desired it to be. I also thought I lacked the time and motivation to make it better. Enter Jay's Crisp Copy Class. Jay's copy always sizzles superbly and if I was ever going to entrust my copy to another, the ever-feisty Jay would be my first choice. Imagine my joy at finding that she would not only hold my hand and guide me step by step through the process of polishing every word on my website, she had also curated a collection of top-notch marketing experts to teach me all I needed to know about efficiently crafting an effective web presence for my business. The best thing about the Crisp Copy Class is the inspiration that comes from working with other motivated writers (including Jay herself) to bring out my very best wordsmithery, and then receiving timely (loving) scrutiny to screen out all that is drab and dull. 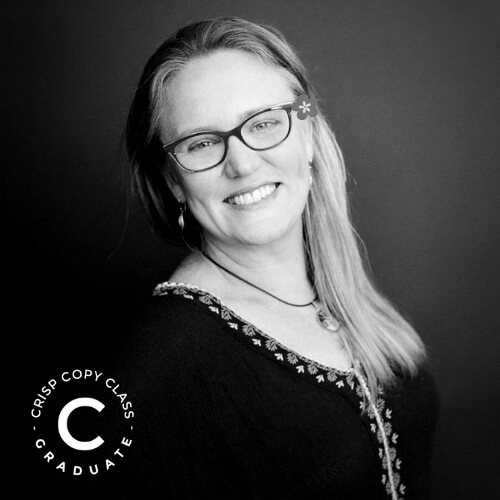 If you love writing but your website copy lacks lustre (or even if you want to hang out with cool people and have fun playing with words) I cannot recommend the Crisp Copy Class highly enough." "If you need to find the clarity, the words, the structure and the “quirk” that’s so totally you. Jay Crisp Crow is your go to. Jay brings the best out in you. I hear her wisdom in my head every time I sit down to write. She’s incredibly clever at what she does and teaches. I’m grateful to her and her wisdom. Jay's Copy Writing program has been a great way for me to cement the purpose of my copy on my website and within my blogs. I'm a lifetime fan. I highly recommend." "I knew I could write, in fact, I make money writing copy for other people. But it wasn't until I joined CCC that MY copy started coming together. During the course it was great being able to tap almost directly into Jay's copy and business brain, no question was too stupid and her answers were always crystal clear. Jay taught me how to write in my voice, and create self-weeding copy that my target market loves. 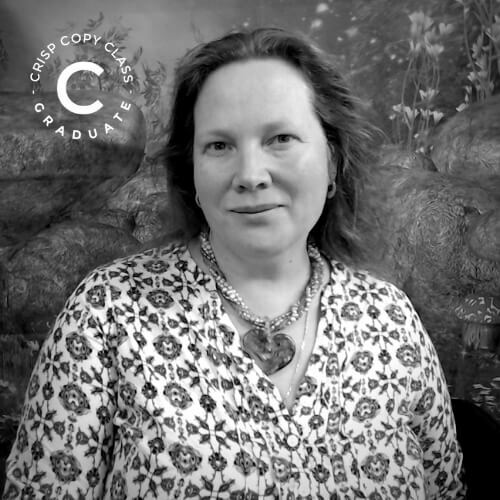 Being in CCC is a great investment for any businesswoman at any stage - but particularly for those who think boring copy is so yesterday." "I’m just a girl, standing in front of a copywriter, asking her to love me. Writers like me spend a lifetime refining the craft. Hours are spent on a single sentence. You add a word here, take another there, always in scrutiny of every nuance and slant. Until you end up with a piece of writing so precise in delivery and interpretation, its intended meaning can’t be mistaken. I wanted to refine my copywriting skills. When my business coach told me to check out the Crisp Crow website, I did. Jay had me from the first headline. Right smack bang in the palm of her multi-award-winner hand. 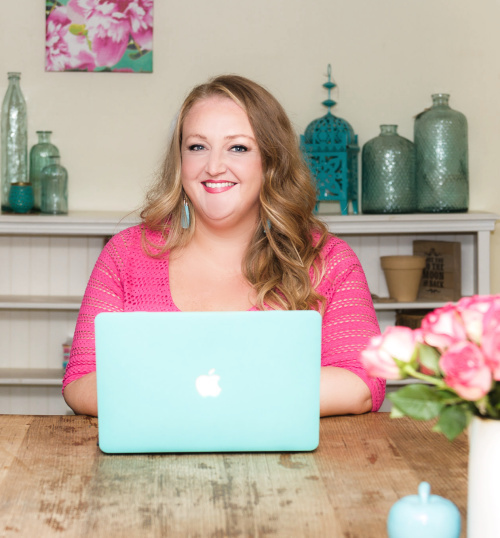 I signed up to her six-month online copy course the minute I heard about it. I love the structured yet at-your-pace learning style. It means hustling women like me can make it work. I love the friendly and supportive environment. I especially love how Jay’s always available to give support and gentle guidance when you need it. The course has gone above and beyond supersizing my copy prowess. Jay adds bang for buck by enlisting industry experts to deliver topics on personal branding, SEO, analytics, targeted web pages and more. I know a heck of a lot more now than I did before the course. It’s given me a confidence kick and I’m a better copywriter for it. Let’s face it, when Jay gives your copy the thumbs up: life made. I’d definitely recommend this course to solopreneur business women looking for a content-marketing edge." "Like a course, but better! Education + Feedback = Priceless. I’d been circling my website for months knowing it needed an update, but every time I sat to write, zero came to me. What was I supposed to say? In what order? Using what words? Then back in the too hard basket it would go. Enter the Crisp Copy Copywriting Course (and community). This group has got to be the next best thing to outsourcing - which isn’t something I personally wanted to do. You get an education that sets you up long-term as well as those “water cooler chats” for check-ins and accountability (as well as Jay’s standard issue humour). No more wondering what to write or feeling alone behind a computer screen! Watch a monthly call, take notes, do the thing, get feedback, edit and hit publish. Viola! Now I can make my own website changes with confidence 🙌🏻"
"Working with Jay is a joy. I got so much out of this course that I didn’t even know I didn’t know. And I thought I already knew about copy. The stuff Jay taught me about brand voice and copy structure has been invaluable and I love using that knowledge in creating new copy for myself and for clients. I also now have a big scary photo of me on my About Page and I wouldn’t have dared to put myself so far out there without Jay’s encouragement. She has made me so much braver in how I write and present myself to the world. Thanks, Jay!" WHO IS THIS WORD NERD? I’m not just bossy, I’m the boss. The bacon-bringer, the buck-stops-here-girl. I completely understand the paramount importance of your words making bank. Because I don’t get up every morning, have my false eyelashes on fleek, and have someone give me a blow-dry before waltzing into my writing space coffee in hand. And I’m not saying I’m a better copywriter than anyone else, but in 3 short years I’ve dragged my brand up from barely born to charging out at one of the highest hourly rates for freelance copywriters in Australia. Fairly quickly, I found an uncanny knack to teach other people how to make theirs do the same thing. Instead of keeping it all for my intensive clients, in 2018 I launched two new online communities – one for blogging and one for copy – keeping costs low for those on a budget while still maintaining a ripper level of expert advice and training. I’m Jay Crisp Crow, proud owner of a funny name, Mother to 3 game-changing people, lover of a Viking, and dedicated, life-long word nerd who just adores seeing someone else nail it. You can find out more about me at Crisp Copy and soak up the All-Jay-All-Day show at Crisp Crow. Or something. I dunno. According to my computer, I wrote over a million words of bank-making copy for clients just in the past 12 months. Numbers aren’t really my thing. Again, according to my Xero this is an actual number. I don’t remember how I calculated before that. With some sticks, pieces of paper, a napkin or two, and tears at the bookkeeper, no doubt. In any case, this is the number of invoices I’ve sent. And someone’s paid. Bonus. So, you noticed the price wasn’t $285 per hour, right? That’s because there’s some work needed from your end. Anything good either needs time or money invested in it – this is an affordable course because it requires you to dig in at least twice a week and put aside a couple of hours to do the work. There's so much info online for people writing their own copy. Can't I just follow all that advice? How’s that going for you so far? I wrote over a million words of converting copy last year and people pay me just under $4000 to do this training with me 1:1. This membership course gives you step-by-step guides to follow, access to me and my experty friends. You do need to do some work but you’ll learn this stuff once and implement it forever more – from writing your own Sales page to always knowing what to write on social media. Who exactly am I learning from? 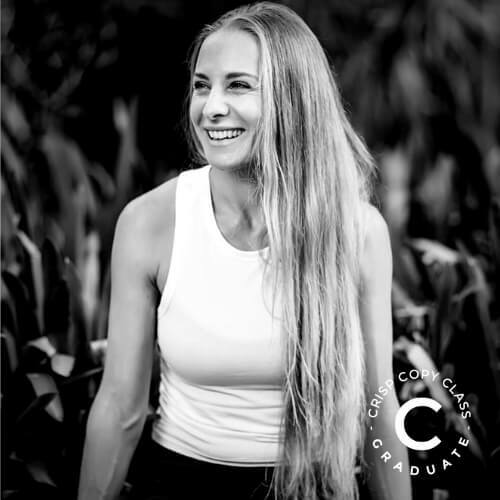 Approximately once a fortnight we’ll have some kind of class – a monthly Masterclass with an outside expert – SEO, content marketing, email marketing etc. Every other fortnight will be class with me. I just don't have the time! Email me and I’ll write your website, emails, socials copy – everything – for you. But, if you want to learn copywriting practices you can use on every page of your website along with paying a fraction of the price of getting a professional to do it for you, this is a very sweet option, my friend! But... I'm a bad writer! 2. That’s why I’ve broken down these lessons for you with advice on structure, writing processes, editing, and storytelling. Don’t want to be a copywriter when you grow up? Goodo. 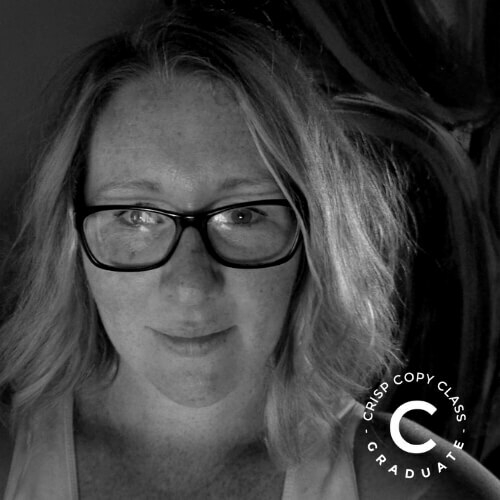 This membership is aimed at smart women in business who want to improve their own copy, and marketing professionals, VAs, and newbie copywriters who want to get better results for their clients. You don’t need to be Tolstoy to kill it. What's the difference between the live round and the self-guided tour? 2. The live round participants get everything the DIY version folk do, plus an invitation to the live calls (so they can ask questions), week day access to Jay on the Facebook group, and discounted 1:1 sessions. If you are a DIYer and want to upgrade at any point, just email me and I'll send you an invoice for the dollar amount difference only and a spot in the next available live round. When will the live classes be? Aughh! Groups who sign you up and then run EVERY SINGLE LIVE CLASS AT 3am your time? I know, right? OK, trying not to do that. Fundamentally, most of the waitlist is in Australia. So, for the first round, most classes will be scheduled between 9.30am – 2.00pm WA time. We might throw in a weeknight or weekend once in while, depending on the experts and their schedules. Yes, you can always join from across the world and watch back the recordings and I’m a night owl and will be in the group late into the evening, too. What if I join the live round and suddenly can't participate at the time? Nooooo problem. Seriously. There’ll be no Facebook group shaming – you pop in and out as you need and do the work when you can. It’ll be there when you’re ready. I've changed my mind. Can I have a refund? Listen, don’t do that to yourself. Don’t be one of those people that signs up for things only to bail on themselves. Let’s tackle this thing. Do the work. Implement the advice. You’re thinking of signing up for this because you are so darn sick of your copy being the same as your competitors, boring as heck, or feeling totally inauthentic. Or, like, not in existence. So – officially: refunds for change of mind will not be given. However, if your world implodes sometime between the day you purchase this course and 14 days afterwards we can work something out. If you request to cancel your course in writing to accounts@crispcrow.com.au within 14 days of purchasing this course with a valid reason for your request we will reply by email within 2 business days to inform you if a refund has been approved. Once approved, an electronic refund will be issued (less any payment gateway fees) within 14 working days from the date of approval. Refund requests after the 14 day period will not be approved under any circumstances and at all times we will abide by the Australian Consumer Law in relation to any guarantees for our Services. You can read all my T&Cs here. Fantastic, I have something for that. It’s by application only. Check out the options here. Get your name on the waitlist! Extra points if you have a dog. Or a chicken. I hate classrooms that won’t allow pets.